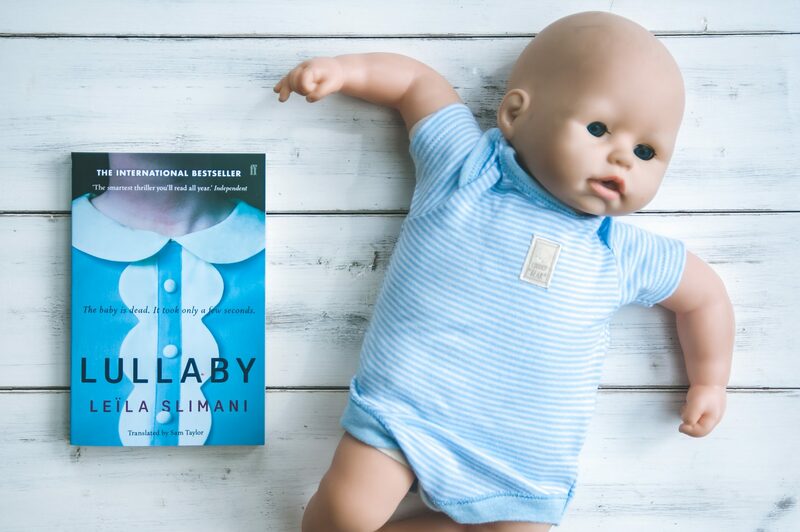 When the latest book from the Mumsnet Book Club landed on my doorstep, Lullaby by Leila Slimani, I instantly knew that this was a very different book to the others. Some of the books so far have had me laughing out loud, wiping away my tears, and questioning my beliefs on a whole host of subjects, and yet none have left me feeling quite the way that this months book did. And instantly I found myself torn between wanting to read on, as fast as I could, trying to find out what happened, who did it, and what their reasons for such a despicable act could possibly be, and closing the book, hiding it away and forgetting it even existed. As a Mother I found myself wanting to do the latter, knowing that such a subject matter would be heart-wrenching to read and no doubt would leave me reeling afterwards. And yet as part of the book club, I knew that I had to carry on reading and, in all honest, I was compelled to do so by some morbid curiosity as to how the story unfolds. The story begins with Paul and Myriam, a successful Parisian couple with two beautiful children and, after Myriam’s decision to return to work after an extended period of time as a stay at home mum, the couple decide that a nanny would be the answer to their problems. Lousie is initially a quiet and polite lady who is both gentle and kind towards the children and Paul and Myriam too. We read how she forms a close, and loving, bond with the children, how she acts as a real crutch for Myriam who is struggling with post natal depression and how, initially, she seems to be the glue really holding the family together. We soon realise that Louise is not all that she seems, her relationship with her own child has broken down, she lives in poverty, and is clearly battling her own demons. It’s quite unsettling to see these facts reveal themselves knowing that two innocent children are in the hands of someone who is so far removed form the persona she presents. Mental health is a recurring theme throughout the book and although outwardly Myriam and Louise are very different, mental health connects them in more ways than one. Both ladies strive to appear in control of their lives, to be successful in their jobs, and present a perfect image, even at the detriment to their own wellbeing. Although Louise’s mental health is by no means an excuse for her actions at the end of the story, it does make the reader see just how catastrophic mental illness can be should it not be addressed and treated accordingly. I found the end of the story both devastatingly sad and incredibly frustrating. There are no answers, no explanations, no means of understanding Louise’s motives for such an abhorrent act, and it is down to us as a reader to depict what we can from the story and our own imaginations. Lullaby is undoubtedly one of the darkest, most disturbing books I have read in a long time and yet I found it strangely compelling, completely mesmerising, and I know that it will stay with me for a long time to come. Lullaby is available to buy here at Amazon. I can totally relate to your apprehension upon reading those first two lines. Really impactful way to start and the author accomplished their goal because it was obviously too much intrigue to pass up on. I, too, would have continued reading to find out what ultimately happened. Wow I don’t know if I would have kept reading haha It sounds like a really dark and intense story, I’m not sure if I want to read it or not. Your review helped leave lots of questions but I also hate endings that are open ended, drives me crazy!! Wow! Yes, I can see why you were torn about reading this. I am getting my Masters in counseling right now, so I would have continued to read it just to get some more insight on mental health. Thank you for the review! Is there any relation between Paul and Louise? I read it but could not figure out why Louise jumps in the story or I must say in the family of Paul and Mariyum. I have a total love hate relationship with books like this. It’s the same with movies and series. Like the good wife and sopranos. With books it’s harder. Cause not everyone is sitting dissecting the final episode at the same time. But this is going on my “Must read” list!! Not sure if I could managed to read read much further myself. I tend to avoid book and programmes with children dying or being abused as I’m a little too sensitive. It does sound like a very mysterious book, especially that it starts so normal and evolves into the darkness of mental illness. You have made me very curious and I would like to read this book. The one liner on the cover is indeed very disturbing. Open endings – be it in movies or books are the worst! Though I’m not an avid book reader but I can say for a fact that sad endings make for impactful stories. They somehow stay with you longer. I do like a dark book! Will have to check this out I think on my next long haul flight!! Great review – you’ve sold it to me! I love how the book starts – so intriguing! The books creates a kind of suspense in the beginning, you have reviewed the book very nicely. Though I love dark books, but this would be a hard one to continue because I just love kids. Still, would love to read it once. I am torn after reading your review as to whether I want to read or not, it sounds like an intriguing and great read, but one where you are left hugging your own children a little tighter. I would have the same conundrum after reading the first sentence! But what an interesting book. I love ones that are page turners for sure! I just became a mother recently so for me it would be a stop sign after reading the first sentence, too sensitive to the topics like that. That book really does sound quite disturbing but I think it is a novel I would read regardless. It sounds very mysterious. I like the sound of this book. It sounds very interesting. Will be checking this out on Amazon for sure. What a read! Like you, I find myself wanting to read this yet not at the same time. I think I’d have to be in the right frame of mind for it! This is a heavy story for me. I just want easy light romantic stories now just to unwind. By the way, that doll looks so creepy! Wow that sounds like an intense book. The kind of thing I would struggle to read, but not be able to put down either. I totally feel you: Already from your review I’m torn between curiosity and the need to ‘protect’ my feelings against this story that sound so sinister. Oh gosh, I feel almost compelled to read it but it sounds so disturbing. Thanks for sharing your insights of this book. Although this kind of storyline isn’t my cup of tea, i think you did a good job in sharing your review. Well, to be frank, if that’s the opening line, I don’t know which way I’d go about reading it. But going through your review, it surely seems well written and a layered tale. Will try ordering it on Amazon. Keep us posted for more such reviews. This book sounds like a gripping read! I already have multiple scenarios in my head. I am definitely going to look it up. This book seems interesting due to the premise. What is the book’s genre? Oh this sounds like a really intriguing read. I’m going to check it out! I think I’d most definitly do the latter, I can’t cope with books like that. It’s a shame that you didn’t get the answers in the end either. Whoa… this definitely sounds like a dark book. I don’t know that I could get into this one either. Yikes! I feel like a dark book that leaves you with a bunch of un-answered questions is life. It’s real. We often have to figure out our own interpretations of what is happening in life.